The one who set up local CoderDojo is called “Champion”. For Japanese people, “Champion” sounds like someone who is superior than others, a person who defeated many rivals, like a champion in boxing matches. I am involved in CoderDojo community since 2012, and at that time the founder of Dojo was not called “Champion”. I don’t remember well, but I think it was called "coordinator" or it was just "the first mentor". When someone calls me “Champion”, I feel a little hesitancy. Then, recently, I found that “Champion” is used as verb in “Start A Dojo” guide as follows. Dojos are Championed by individuals all around the world who are passionate about giving young people the opportunity to learn to code. In this context, it seems that "champion" is used like "support" or "defend", and I found that the noun "champion" has another meaning like "supporter". So, "Champion" has 2 meanings. someone who is superior than others, a person who defeated many rivals, like a champion in boxing matches. someone who strongly supports something. It seems that CoderDojo Champion means number 2. I want to know if my understanding is correct and how native speakers or people in other countries think about this. Please feel free to leave your comments. 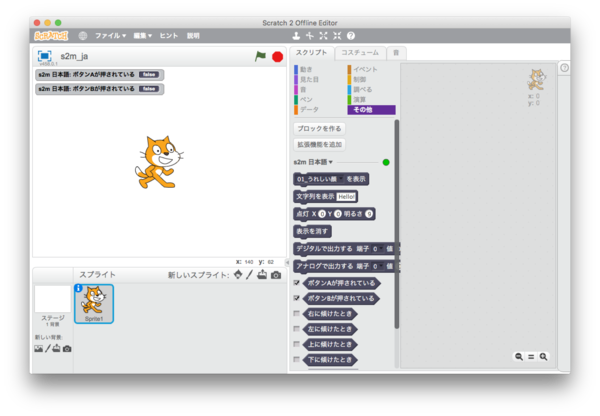 MrYsLab/s2m: Scratch to micro:bit bridge.